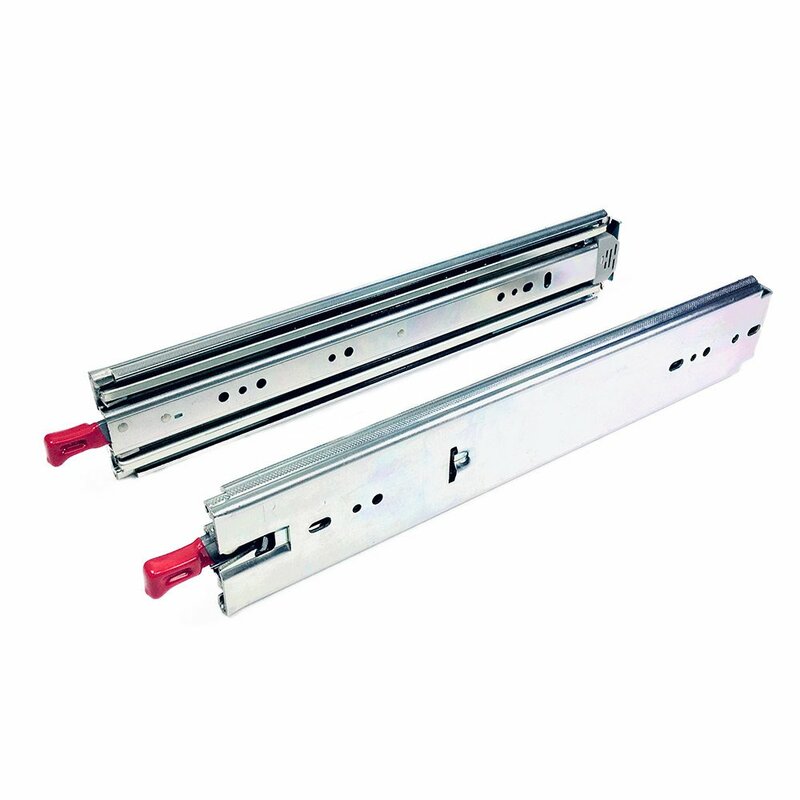 60" Industrial duty drawer slides for demanding applications. OVIS specializes in heavy duty drawer slides. We sell these to many large corportations for demanding applications like material handling, assembly lines, fabrication tables, shipping fixtures, tool boxes, and many other applications. 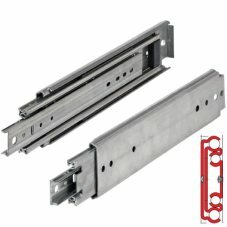 Our 60" drawer slides have a 3/4" installation width without a disconnect so heavy loads get stopped safely. Full extension keeps items at the back within easy reach so productivity stays high. 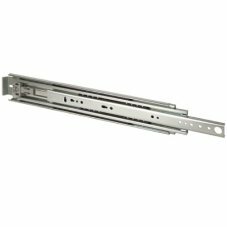 The locking model of 60" drawer slides keep drawers secure for vehicle applications like fire trucks, utility vehicles, service trucks and transport carts that go straight to the assembly line. The 220 lbs rated KA 3320 60 inch telescoping precision full extension slides for high loads, up to 500 lb. capacity, with cushioned in and out stops. Chromated steel. Smooth action and high side stability through precision slide. Price is per pair. Screws not included. The Fulterer FR5400.L, 60" Heavy Duty Locking Drawer Slide, can work as a lock-in only, or lock-in and lock-out drawer slide depending on the orientation of the slides. All you need to do is swap the left and right sides and the locking mechanism will operate in the other mode. This 60 inch model has a static weight capacity of 330 lbs. or 150 kg.. The 330 lb. rated Fulterer FR5400, 60" Heavy Duty Drawer Slide (550 lb. class) is made of zinc plated, cold rolled steel and have a 3/4" installation width. They have stainless steel ball bearings and plastic ball spacers to reduce friction. This is a non-detachable slide. The Fulterer FR5400.L, 58" Heavy Duty Locking Drawer Slide, can work as a lock-in only, or lock-in and lock-out drawer slide depending on the orientation of the slides. All you need to do is swap the left and right sides and the locking mechanism will operate in the other mode. This 58" model has a static weight capacity of 330 lbs. or 150 kg..